It’s only been 4 days but so far I have managed to find 20 minutes a day to enjoy a little art. These quick little works I usually do in watercolour. 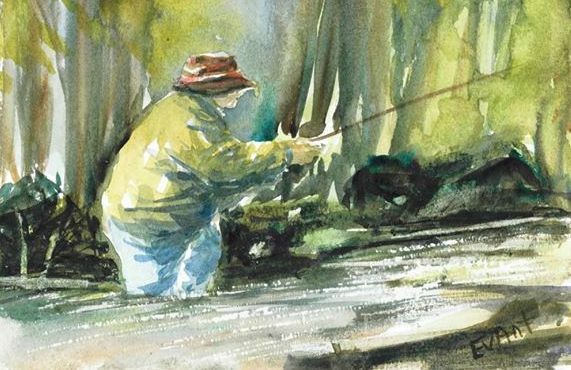 Watercolour is a quick medium with which to paint, if used in a free, wet manner. To achieve fresh looking paintings watercolour should not be overworked so limiting the time is good practise for the skill required. 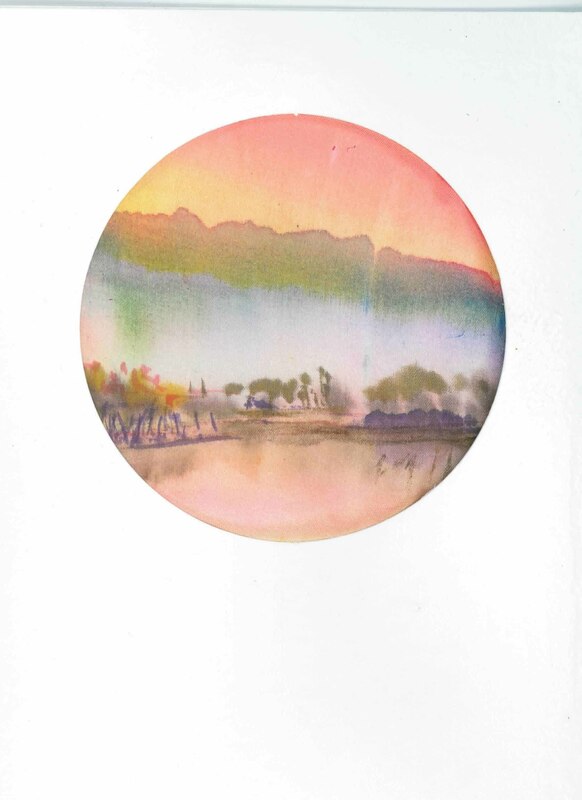 The one in the circle cut out card is a watercolour on silk. 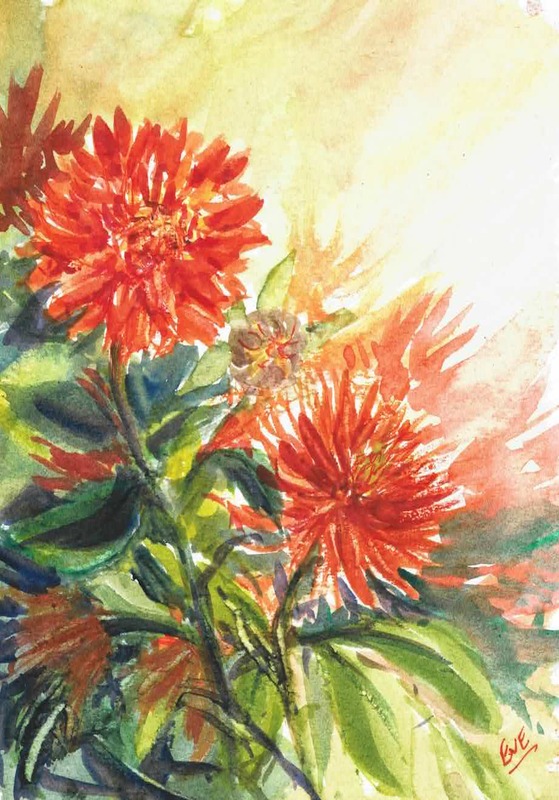 This entry was posted in art, painting, Tasmanian artists, watercolour and tagged dahlia, fishing, flower painting, garden, painting flowers, painting on silk, quick painting, rose, watercolour, watercolour cards. 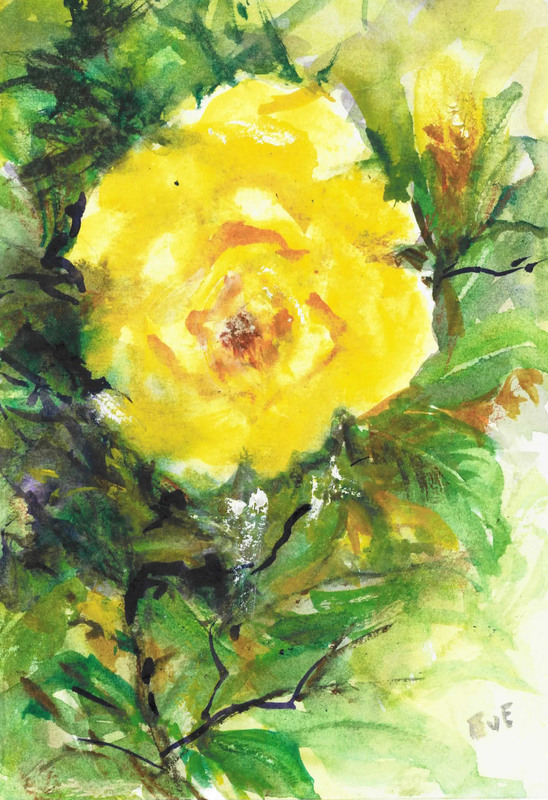 small paintings, yellow rose.